I’m so THANKFUL for life’s experiences. Every experience may not be pleasant but they are the building blocks that shape us. Experience teaches so many valuable lessons and as long as the lesson has been learned, the reward is worth any struggle. Embrace your experiences, digest them, and use very experience as a springboard to reach new heights. Let each experience, good or bad, make you that much bolder to seek new adventures, to reach a little further, and to become that much braver as you navigate life. Hiding in the shadows and allowing fear to dictate your next move is not living. The only way to experience life is to live it! I’ve used the following quote many times and it has blessed me in so many ways and I am very THANKFUL for everything it represents. What it sums up is that life’s experiences formulate our being in so many ways and each experience is another tool to help build our dreams and steer us to our destiny. Experience has taught me who I am; as a man thinketh, so is he. Experience has shown me that I possess every thing I need to succeed; what I speak shall come into existence. Experience has taught me that although I may fail or fall at times, I am not a failure and I can rise again; my actions are teaching moments and every action segues into a new degree of mental and emotional awareness. Experience has given me discernment in selecting my friends and peers and also has helped determined what to pursue and what to let go. 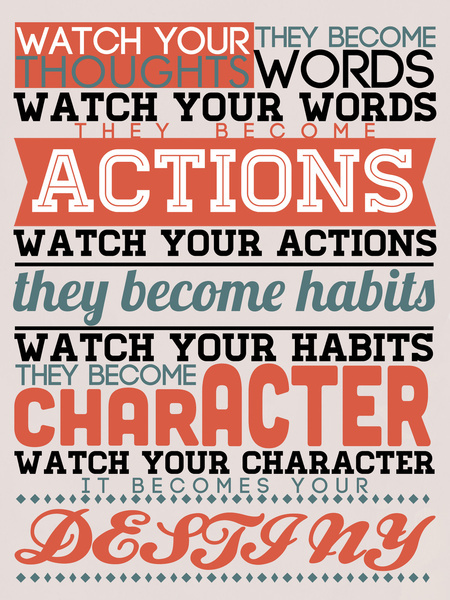 The habits I practice are learned behavior the have fortified my morals and ethical approach to life. Experience has afforded me the ability to trust my instincts, believe in myself, and rely on my abilities and developed my character as a man, Christian, brother, friend, counselor, life coach, speaker, and server of mankind. Experience has provided the life lessons and tools to pursue my dreams with confidence and vigor. Experience has made me appreciate what’s most important and be THANKFUL for what I have. Experience has caused me to appreciate both closed doors and opportunity knocking. Experience continues to give me hope and pushes me daily to my destiny. No matter what life throws at you, never shy away from the experience. It is what is used to prepare you for the next phase and what will provide you with the skill set to handle the next challenge. 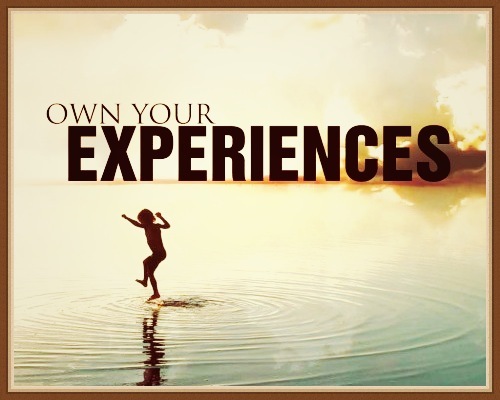 Embrace your experiences and own every one as it develops and drives you to your destiny! The more you THINK, the more you THANK and I couldn’t be more THANKFUL for life’s experiences as they have shaped me into who I am and allowed me to share those experiences with people worldwide, bettering their lives and giving them hope.